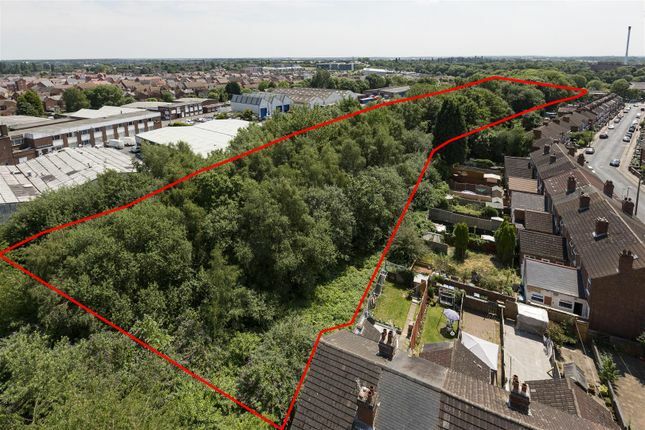 A great opportunity to purchase a parcel of land with detailed planning permission for the erection of three, two bedroom terraced, and three, three bedroomed terraced houses situated in the south side of the city adjacent to the junctions of Humber Avenue and St Georges Road. The development site within the former railway land of the disused Coventry Loop Line has an overall site area of 0.27 hectares ( 0.66 acres). These properties, once developed would be ideal for first time buyers, or the investment market being as they are, situated just 0.5 miles away from Coventry University and the City Centre . Presently, access to the site is restricted so we would respectfully request that interested parties contact Shortland Horne in the first instance on our Coventry Office number and speak with Will Green, or through our Leamington Office . Property descriptions and related information displayed on this page, with the exclusion of Running Costs data, are marketing materials provided by Shortland Horne, and do not constitute property particulars. Please contact Shortland Horne for full details and further information. The Running Costs data displayed on this page are provided by PrimeLocation to give an indication of potential running costs based on various data sources. PrimeLocation does not warrant or accept any responsibility for the accuracy or completeness of the property descriptions, related information or Running Costs data provided here.